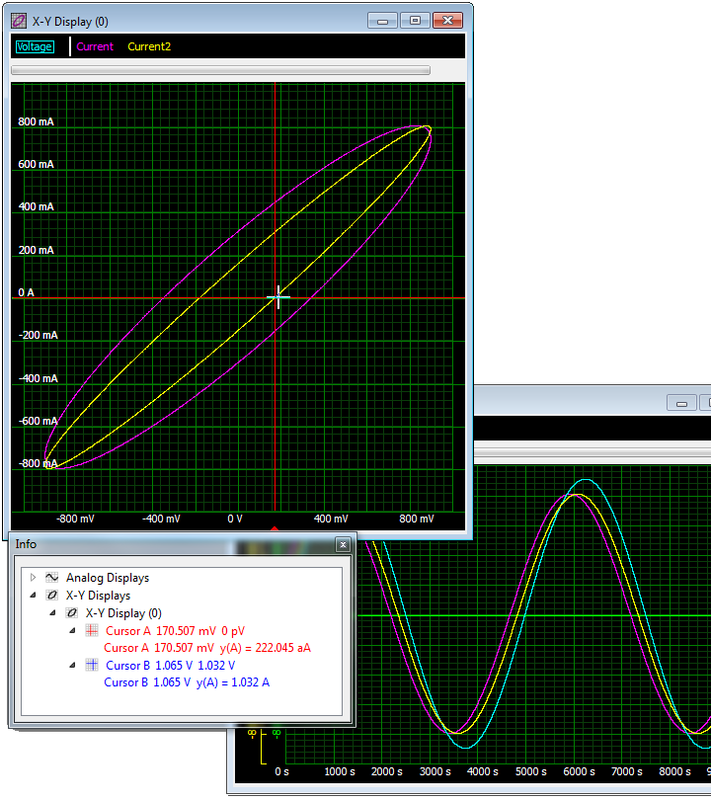 The X/Y display format can be used to measure the phase relationship between two or more synchronous signals. This measurement technique involves assigning one signal into the vertical system and then another signal into the horizontal system – called an X/Y measurement because both the X and Y axis are tracing voltages. The waveform that results from this arrangement is called a Lissajous pattern. From the shape of the Lissajous pattern, you can tell the phase difference between the two signals. You can also tell their frequency ratio. A standard application for the X-Y display would be the I-V curve of a component such as a capacitor, inductor or diode.